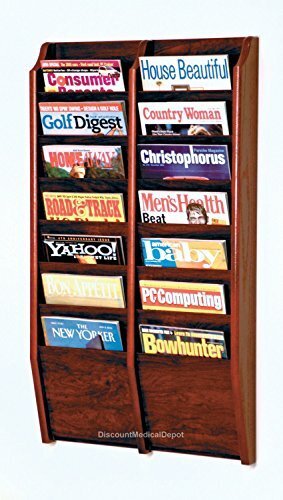 Our beautiful mahogany wall mount magazine display rack offers versatility and style in a compact unit. Our unique overlapping design neatly displays and organizes your literature, keeping it tidy and visible in the least amount of space. Our racks feature furniture quality construction with 3/4" solid oak sides sealed in a durable state-of-the-art finish. Made in the USA.